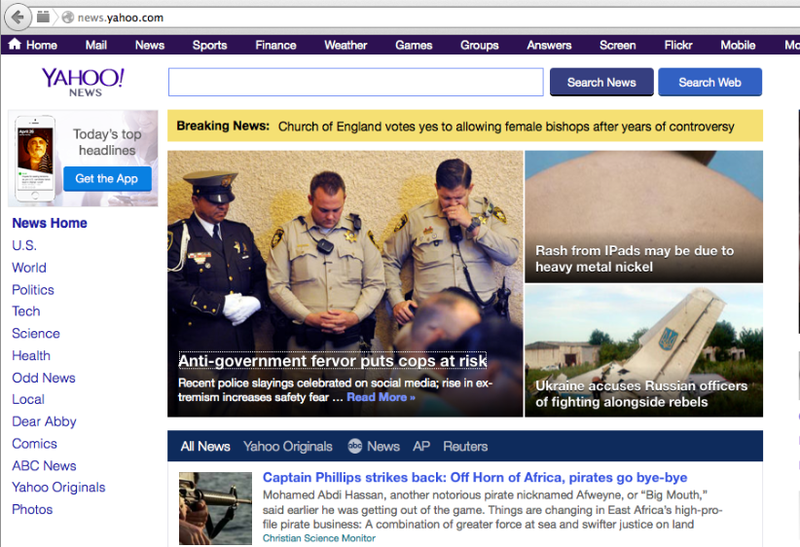 On July 14th, 2014 a creative writing piece entitled Anti-government fervor puts cops at risk went live on the homepage of Yahoo! News. The byline listed as its author Jason Sickles. 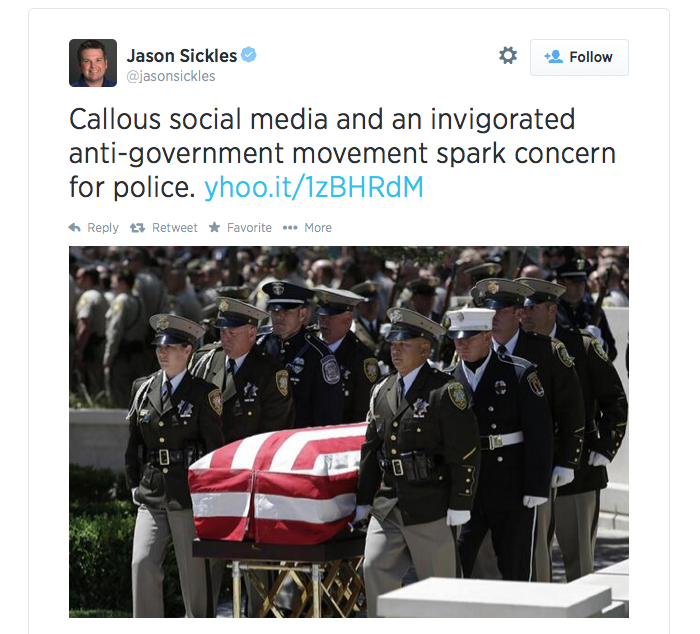 That day Sickles also shared the content via his personal Twitter account, replete with a graphic of a a flag-draped coffin carried by police employees. Despite being housed on the “News” section of Yahoo!, the prose read more like a piece of fiction – weaving together disparate instances to manufacture a narrative that painted Cop Block like a DHS employee might – a fountainhead of hatred and violence aimed at those who happen to wear badges. We do not “hate cops.” We believe that no one – not even those with badges – has extra rights. The failure to realize and act on that is to our detriment. By focusing the disinfecting light of transparency on public officials we safeguard not just our rights but those of future generations. 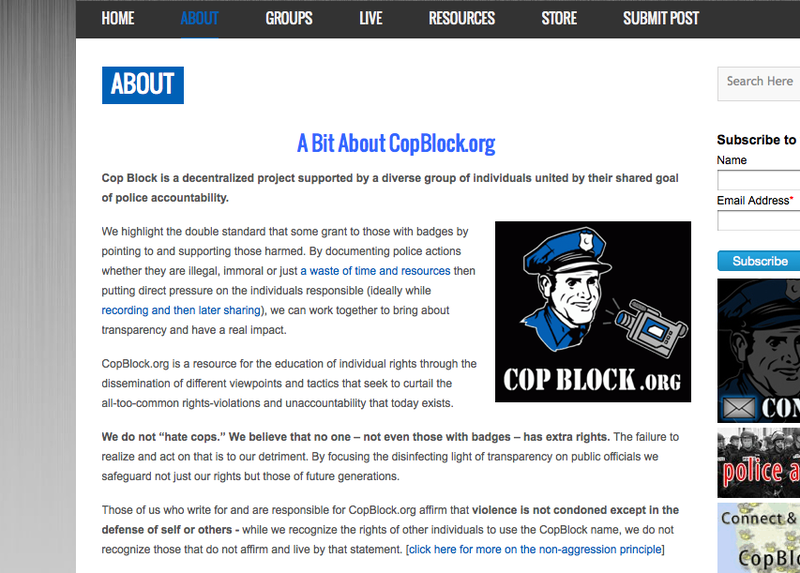 Also, it seems Sickles missed Cop Block is Committed to the Non-Aggression Principle published on June 11th, 2014, and, Just Like Police Employees, We Each Speak For Ourselves published on January 24th, 2014. The fact that the organization has over 780,000 Facebook fans, all but one of whom have never murdered a police officer, doesn’t prevent Sickles from honing in on the group as being partly responsible for the deaths of Beck and Soldo. … The article makes no mention whatsoever of the innumerable examples in recent years of police officers murdering citizens, which far outnumber fatal attacks by citizens against cops. … police officers pose a far deadlier violent threat to the American people than vice versa. That doesn’t justify violence against cops, but it does underscore the fact that concerns about police brutality are rooted in a very real problem and cannot be blamed on politically driven arguments about anti-government extremism as Sickles attempts to portray in his factually bankrupt hit piece. Before Sickles’ post was made public, he reached-out via email. I spoke with Sickles for almost an hour as I traveled toward Lancaster, in the ‘shire, for PorcFest, and thought the conversation went pretty well. Though many of the questions he posed kept coming back to three things: an incident in Vegas, a status update made to Facebook.com/CopBlock, and a picture supposedly left as a comment on that outlet – I sought to focus on two areas: the fact that it is individuals (both police employees and non-police employees) who act and are responsible for their actions, and the need to start the conversation where it begins – on the institutionalized violence inherent in the police apparatus today. I had hoped some of that perspective, and some of the very real, significant, positive and effective contributions of others involved with Cop Block, would have made it into Sickles’ write-up, but he choose to peddle and reinforce fear and division. Fortunately, almost no one bought-into the false paradigm constructed by Sickles. Despite the misleading article title and erroneous angle proffered, a quick skim of comments (which, as of now, numbers over 14,000) shows that most readers didn’t buy it. Instead, they offered their own perspectives and experiences of police employee thuggery and double-standards. I appreciate and support what you guys do, so it makes me mad to see things like this http://news.yahoo.com/online-rants-rightwing-extremism-fuel-fears-for-us-cops-225012920.html. There are a lot of hidden actions out there conducted by the powers that be to try to sway public opinion on this matter. Although the media machine proves powerful it is not absolute and I believe that we as a community can show people the true nature of law enforcement in this country. I also believe that great change can be achieved through peaceful non-compliance and the people who they use as an excuse to call the rest of us extremists are not “everyday people”. These are hard times for those brave enough to speak out about the deteriorating state of our country and I want to thank you again for your great work. Was the Yahoo! News piece credited to Sickles actually written by him, as is questioned by the title of this post? Most likely, but if he had a suggested direction from certain circles, that would not be all that surprising. 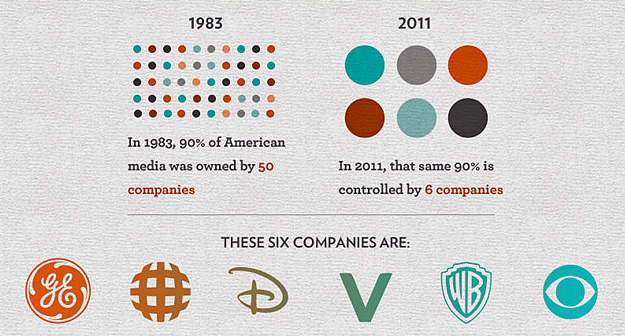 Today 90% of the information said to be “news” is promulgated by six corporations, thus, just like the telecomms that have quietly allowed criminal NSA employees access to their information, the integrity and objectivity of nightly newscasts, newspapers, and other content, is questionable to say the least. Due to the incentive not to protect your rights, but to perpetuate their own institutions and the size and scope of their actions, actors within any “criminal justice” agency seek to control their image, and the message around it. It is not unknown for journalists to be recruited to either quash or alter certain stories, or to provide information about those who share news tips. 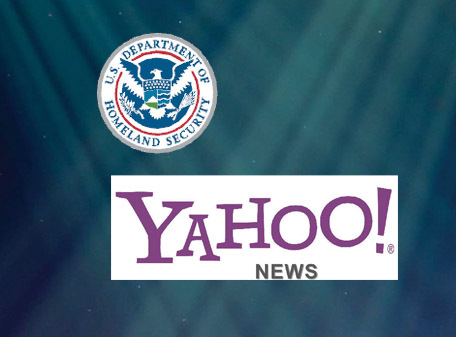 Yahoo!, keep in mind, is an outfit that has conspired not just with the DC-based gang to surveil and track you and everyone you know, but has worked with other nation-state-based gangs, including that based in China, to whom they provided information to identify Shi Tao, who was then kidnapped and told he’d spend the next decade caged, for alleged ‘dissident’ activities. To be clear, unlike those at the FBI or DHS or your local cop shop, the goal for Cop Block is not to grow simply for the sake of growing, but to not exist. No matter the level of hero worship bestowed upon police employees from government schools and the corporate media (who unquestioningly dub them “authorities”), they are people, and they alone are responsible for their actions. Despite claims of “serving and protecting”, they subsists on stolen money – what Oppenheimer would deem the “political means” – and claim to “legally” have the right to initiate violence. Those attributes are not conducive to a free society. It is not idealistic to want to live in a world free from institutionalized violence. More of us are waking up to that fact, and are working to make it a reality. The hit piece on Yahoo! News is evidence that we are having an impact, and for that, I thank you.